The songs of Dhanush's dream project, Vada Chennai, composed by Santhosh Narayanan is all set to release day after tomorrow, on September 23. While the details regarding the audio launch is yet to be known, we have an interesting update on the film. The makers have officially announced that the tracklist of this action drama will be unveiled this evening at 6.30 PM through the official social media handles of Wunderbar Films. Vada Chennai is indeed a very special album for Santhosh Narayanan as it marks his landmark 25th project in the film industry. 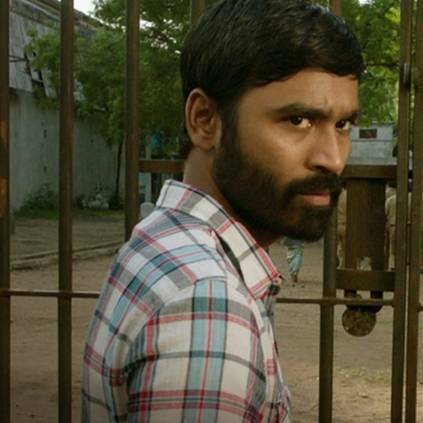 Directed by Vetri Maaran, Vada Chennai is one of the most anticipated films of this year, which is scheduled to hit the big screen on October 17. Get ready for the tracklist's release today. People looking for online information on Dhanush, Santhosh Narayanan, Vada chennai will find this news story useful.